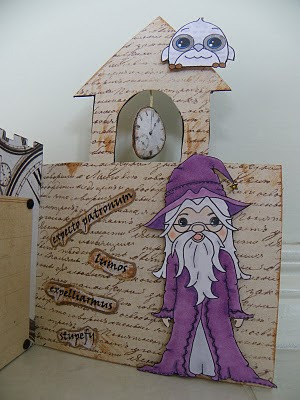 This is my second post for the day, so scroll down to see the Once Upon A Time collection. I wanted to show you all this card I made for a close friend for his 30th birthday. 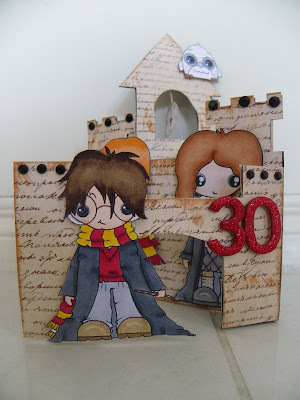 He has recently started reading the Harry Potter books, and when I found these digi stamps over at Pixie Dust Studios, I knew they would make a perfect birthday card. The spells I found on the net, printed them out and inked with Tim Holtz distress ink. I coloured all the images with Copics (of course .. lol), and the paper is from Kaisercraft's Timeless collection. 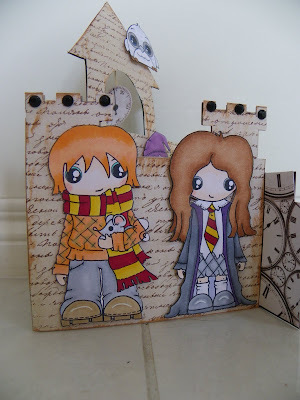 The castle card template was from A Path of Paper blog, which is an awesome blog for lots of templates and to get the creative juices flowing. 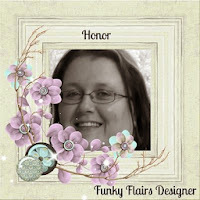 Thanks Deneen for sharing your amazing talents .... your blog is incredible. 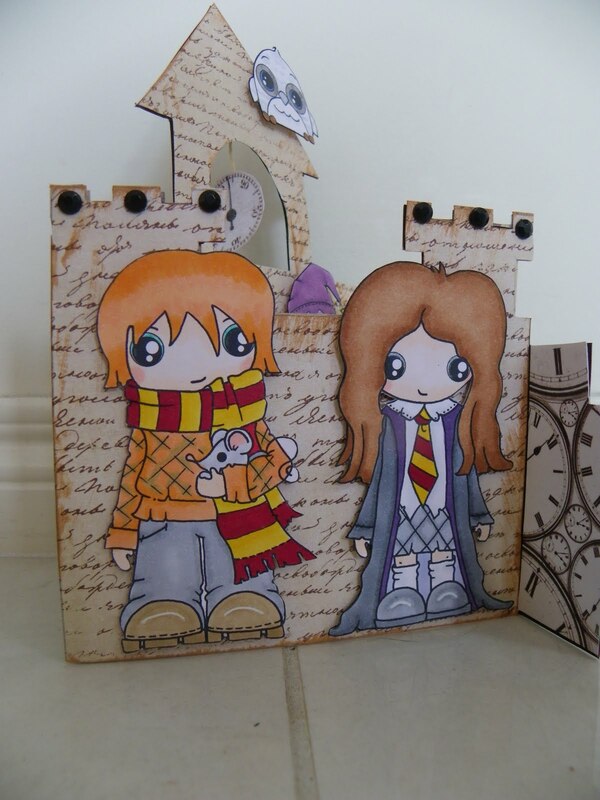 Totally Paper Crafts - "Do It With Digi"
Pixie Dust Studios - "Don't be square"
OMG this is AWESOME,such fabulous detail and your colouring is BRILLIANT!!! This is fabulous and really embraces the challenge, what a winner! As a HP fan I have to say this is just FABULOUS!!!! What a totally awesome idea!